LEON, whose Mediterranean-leaning menu includes things like Falafel wraps and yogurt Sundaes, has leased space at Washington Square at 1050 Connecticut Avenue. 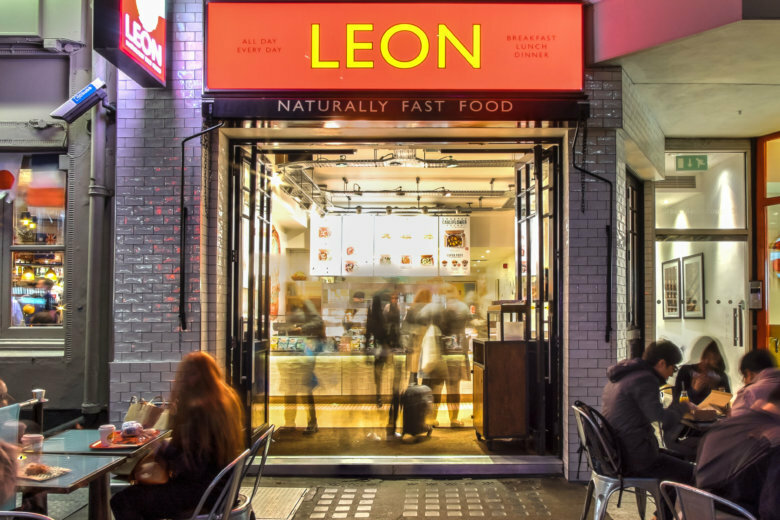 WASHINGTON — London-based fast food chain LEON, which calls itself the pioneer in “Naturally Fast Food,” will open its first location in the U.S. this summer in downtown D.C.
LEON, whose Mediterranean-leaning menu includes things like Falafel wraps, chicken, basil and pine nut salads, vegan burgers, crushed pea salad and yogurt Sundaes, has leased space at Washington Square at 1050 Connecticut Avenue. Its planned opening date is Aug. 20. LEON opened its first location in London’s Carnaby Street in 2004, and has 52 locations in the U.K., Norway and the Netherlands. “We chose D.C. as our entry point into the U.S. market because of its culturally creative mindset, pedestrian-friendly landscape and foodie-lifestyle,” Vincent said. LEON also aims for 100 percent renewable energy and says it has significantly increased the number of plant-based dishes and proactively removed all plastic straws and cutlery.